Inert non-firing weapons will be used in this production. We are sensitive to the use of firearms, even inert non-firing ones. These are replicas of pistols from the 1800s that do not fire and are incapable of receiving blanks. If you have any concerns please see the FAQ section below or contact us at reservations@weplayers.org. Please note that given the intimate nature of the indoor performance space there will be NO LATE SEATING and no refunds or exchanges for late arrivals. Please take this into consideration when planning your travel. Thank you so much for your understanding. Unlike many We Players productions, Undiscovered Country will take place primarily indoors, within the historic conservatory building. While we still recommend carrying layers and wearing comfortable shoes, this site is not on a cliff above the sea or otherwise exposed to severe elements and weather. Enjoy! We estimate approximately 80 minutes. We will update the exact run time here and via reminder email to ticket buyers. This may be our most accessible site yet. There is a wheelchair ramp to reach the building, should you need it. Please let us know if you have accessibility needs so we can be sure to adjust seating to accommodate. You can join our Rush Ticket mailing list for a chance at last-minute half-price tickets if they become available. Or better yet - volunteer! Lend us a helping hand for a couple of shows and get free tickets! Email We@WePlayers.org for details. Street parking is available on Monterey Boulevard and residential side streets. Street parking is limited and we strongly encourage carpooling and using public transportation. Glen Park Bart station is a 10 minute walk from the Conservatory, or an even shorter Lyft ride! What does "Inert non-firing weapons" mean? The firearms used in this production are incapable of of acting as a real weapon. They do not fire and cannot receive blanks. The project is currently in development and we will update this entry with more information soon. Currently, children under the age of 6 cannot be accommodated. What if I can't make it to the show? Tickets cannot be refunded or exchanged, but can be gifted to friends or family - just have them give your name at registration. Unused tickets can also be donated to We Players up until (but not after) their performance date - email us at reservations@weplayers.org to let us know. For other questions about the production and performance, please contact We Players at info@weplayers.org. 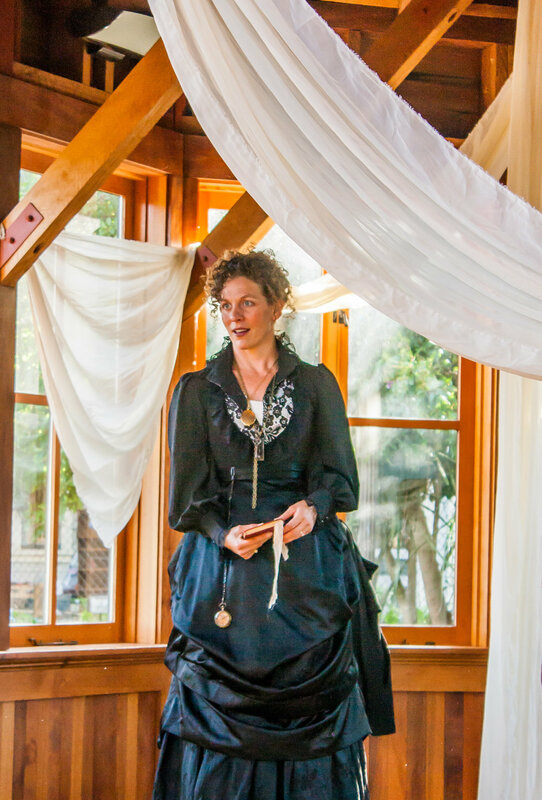 "If you’re looking for reasons to get off your couch and check out the Bay Area’s local, state and national parks that you haven’t been to — or to see parks you think you know with fresh eyes — follow immersive, site-specific theater company We Players." Sunnyside Conservatory's octagonal redwood structure was originally built in 1898 and is surrounded by the hundred-year-old garden, rejuvenated with a thriving collection of drought-tolerant plants, succulents and palms. The building has been completely renovated to become one of the most beautiful hidden sites in San Francisco. 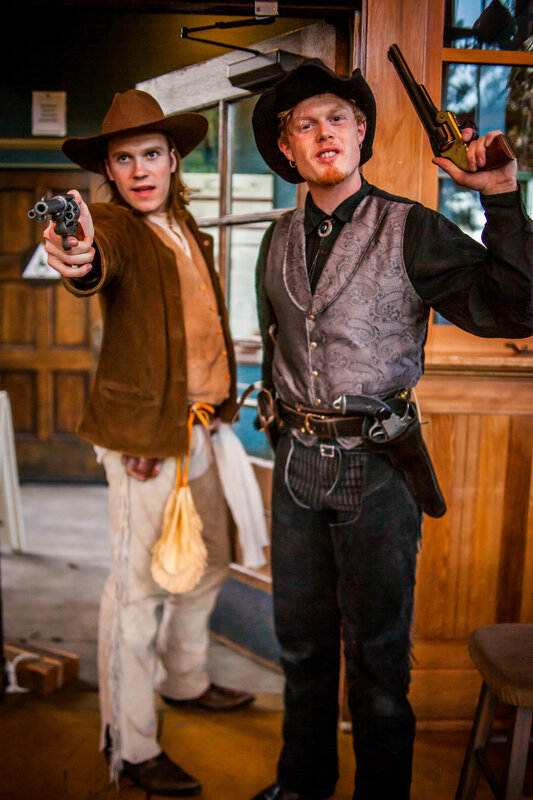 Undiscovered Country is a neo-western love story derived from Shakespeare’s Hamlet that explores the effect of madness on different types of romantic relationships. Jack Spear is an eccentric old west outlaw. He and his protege Horace rob banks and trains while spouting Hamlet’s madcap prose. The two men share everything: stolen loot, cans of beans, the open sky. 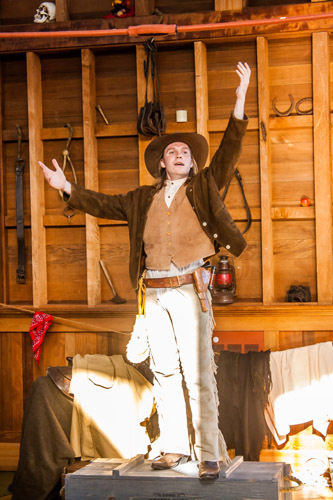 The play begins during a routine stagecoach robbery, only this time, one of the victims, Aurelia, answers back with Shakespearean dialogue. Jack is immediately smitten with the rich widow. The two keep bumping into each other, and an unlikely romance forms between the two bardolators. Back at the camp Horace starts to get jealous. It’s getting harder and harder to deal with Jack’s bouts of mania, the occasional visions, the sudden stomping off into the night. As the love triangle grows more complicated, Jack is thrown off balance and hurts Aurelia. Nearing madness, he begs Horace to make peace. United by the man they both love, Horace and Aurelia make unlikely allies. Horace secrets Aurelia to their campout in the woods, where all three find themselves confronting the Undiscovered Country. A collection of promotional images and other press files for this production is available here on Google Drive. No sign-in is required.